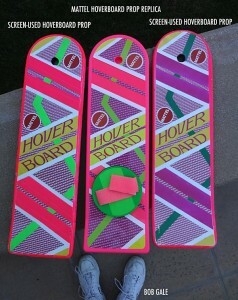 So, you remember how Mattel convinced Back to the Future fans to preorder a prop replica hoverboard sight-unseen? And promised that the final product would be worth the huge amounts of money they were charging? Well, the hoverboards have finally started arriving, and fans are disappointed. And not just average fans, either: even BTTF writer Bob Gale has been let down. 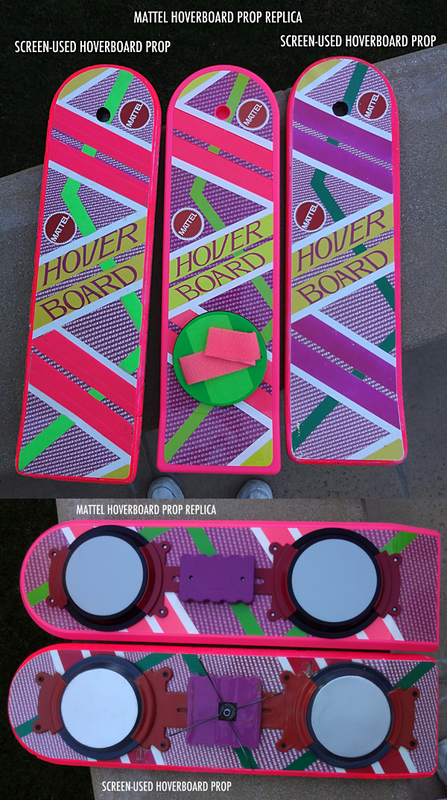 Many of you saw my appearance back in March on "Beyond the Marquee" in connection with the announcement of Mattel’s hoverboard replica. Mattel had invited me, along with BTTF-2's special effects supervisor Michael Lantieri, to tour their facility and meet with the team that was doing the project. I brought my two hoverboards from the movie and John Bell's original art concepts so they could get the exact measurements, determine colors, and get some ideas about materials. Michael and I talked with the team about the boards and the visual effects. We liked everyone we met, and their passion for the project was genuine. I was convinced Mattel was going to do us - and themselves - proud, and that the final version would be something every fan would want to own. You can see my enthusiasm on that video segment and, shortly after that segment ran, I put my money where my mouth was: I dropped a grand and ordered eight of them for myself. I had no further meetings, discussions, progress reports or updates regarding the project with Mattel. I did hear some rumors in October that some fans were unhappy with what they perceived the final product was going to be, but I (wrongly) attributed this to the usual "you can't please everyone" syndrome. Last week, I received the first of my hoverboards. I had seen the review on "Beyond the Marquee" a few days earlier, so my expectations were lowered. Nevertheless, I was disappointed. Jon and Steve's review was spot on, and my issues are basically the same as theirs. The plastic stand is poorly designed and damn near impossible to make work. And although it was indicated that the board would somehow glide across certain smooth surfaces (like carpet), mine certainly didn't. I too thought the sounds the board makes were underwhelming. But I would have forgiven all of these things if they had just gotten the lenticular quality of the movie board correct. This, in my opinion, is the product's biggest problem. It's supposed to be a prop replica so, at a $120 pre-sale price, it should look perfect. But it misses that mark. It's not a disaster - far from it: the colors, dimensions, weight are great with a solid build quality, and the box graphics are a lot of fun (even though it's missing the sticker that says "warning: does not work on water!"). And if it was $70, I'd give it an A. But at almost twice that price ($130 now), it is, at best, only a B. And dammit, I expected an A.
I emailed Mattel, expressed my opinion and told them I planned to go public with it. Scott Neitlich was a total pro and responded immediately. He told me that despite many attempts, they were unable to satisfactorily recreate the lenticular surface and chose to go with the photographed version. That may be true, although I am puzzled how we were able to do something 23 years ago in the movie (admittedly at a much higher cost) that Mattel could not do today. I honestly don't know why Mattel didn't tell me, or Universal, that they were having this problem when it developed, nor why they didn't ask us to help them solve it. And I really don't understand why they didn’t get in front of this issue when they made this compromise instead of choosing to disappoint their customers at delivery time. But no one likes to own mistakes or compromises, especially in corporations. So it is what it is. I put myself out there to promote this, so now I want to publicly stand here with egg on my face and apologize. This product, at this price, falls short of the top notch standards that you and I have come to expect for something that carries the Back to the Future brand. To those of you who bought one because of my endorsement and are upset with the product, I'm very, very sorry. Please accept my apology. I share your disappointment, and you have permission to put my photo on a dart board and throw sharp objects at it. If you need a headline, it's: "Bob Gale says Mattel's hoverboard replica did not live up to his expectations, okay to throw eggs at him." As always, Bob Zemeckis and I truly appreciate the continued support and enthusiasm of all of you in the fan community for our films and for all things BTTF. We thank you for that, and I promise to do a better job of riding herd next time." The letter continues from there, so visit Beyond the Marquee if you want to read the rest. So, basically? Good luck with your Castle Grayskulls, MotU fans. This entry was posted in commentary, Mattel and tagged Back to the Future, MotU. Bookmark the permalink. When does Mattel not let fans down or properly own up to their mistakes? I mean really.... So done with Mattel, Scott, and all of the b.s.